Capri blue classic Nautica polo. Greenish blue classic Nautica polo. Before: 109€ NOW -20% Navy blue & white Nautica retro jacket. Navy blue Nautica anchors swimtrunks. Navy blue & red Nautica sailboat swimtrunks. Navy blue Nautica yacht print swimtrunks. Navy blue Nautica Navtech polo. Before: 29€ NOW -50% Navy blue Nautica Kennick slides. Before: 59€ NOW -40% Navy blue Nautica canvas sneakers. 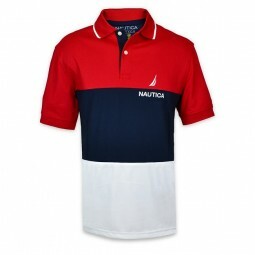 Navtech red line Nautica polo. Before: 65€ NOW -30% Blue & white striped Nautica polo. Before: 145€ NOW -30% White & navy blue Nautica waterproof jacket.